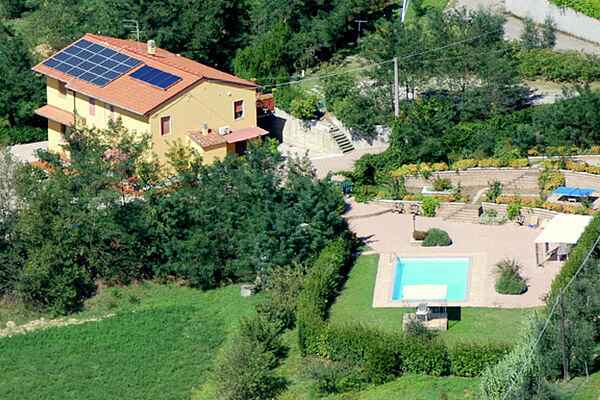 The apartment is located in a strategic position to visit the beautiful Tuscany region. At just 33 km there is Lucca, one of the beautiful provinces of Tuscany; at 20 km, it has the famous spa town of Montecatini, for anyone who may want to spend a day of relaxation and wellness. Florence, the regional capital is a city rich with lots of churches, palaces and museums, you can visit many things because the center is very collected and with a nice walk in the center you will discover wonderful works of art! Finally, also not far, is Pisa, with its famous Leaning Tower and the Baptistery and the Cathedral on the Square of Miracles, mentioned in the tale of Pinocchio!